Armament: Main: (1) TOW Anti-Tank Missile System; (with 6 Spares) or M2HB .50 Cal Heavy Machine Gun or MK 1940mm Automatic Grenade Launcher; Secondary: (1) M249 5.56mm SAW, M60 or M240 7.62mm LMG. Miscellaneous Info: This vehicle is the missile carrier variant of the M1151A1/B1 ECV and is similar to the older M966 TOW Missile Carrier, but fields the much improved TOW Improved Targeting Acquisiton System (ITAS). The vehicle pictured above is the XM-1167, the pre-production version. 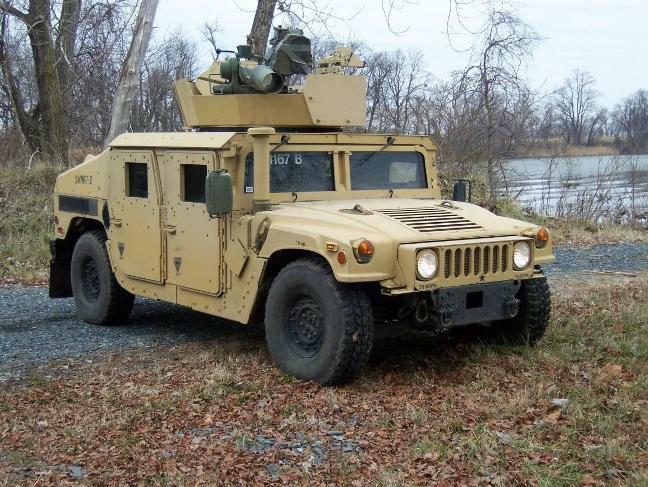 For a list of modeling products, go to the HMMWV Vehicle Index Page.